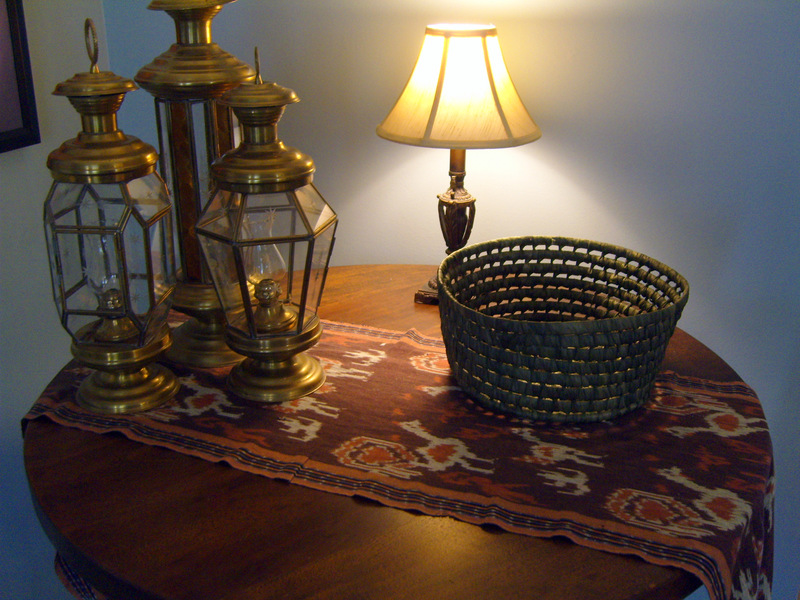 Home decor articles are forever recommending baskets to contain the inevitable clutter of life. 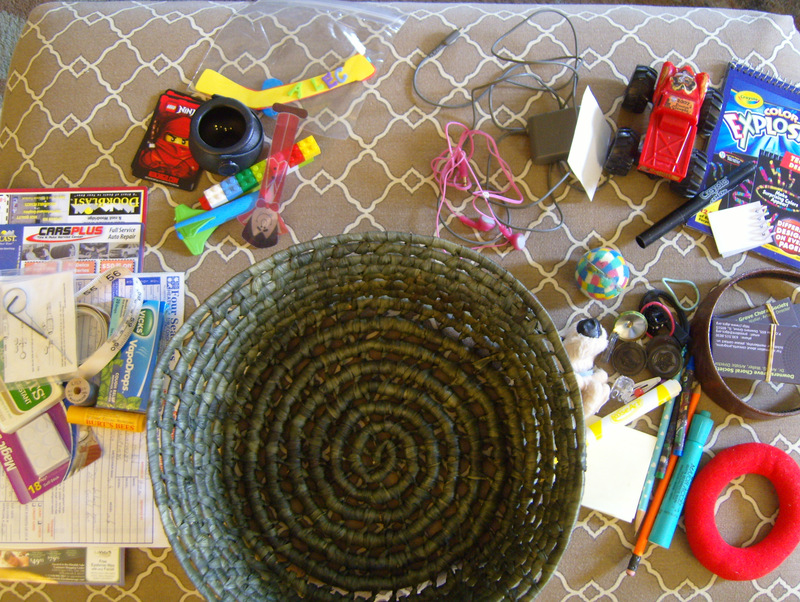 The trouble with baskets, however, is that eventually they fill up, the clutter escapes, and you’re pretty much right back where you started. 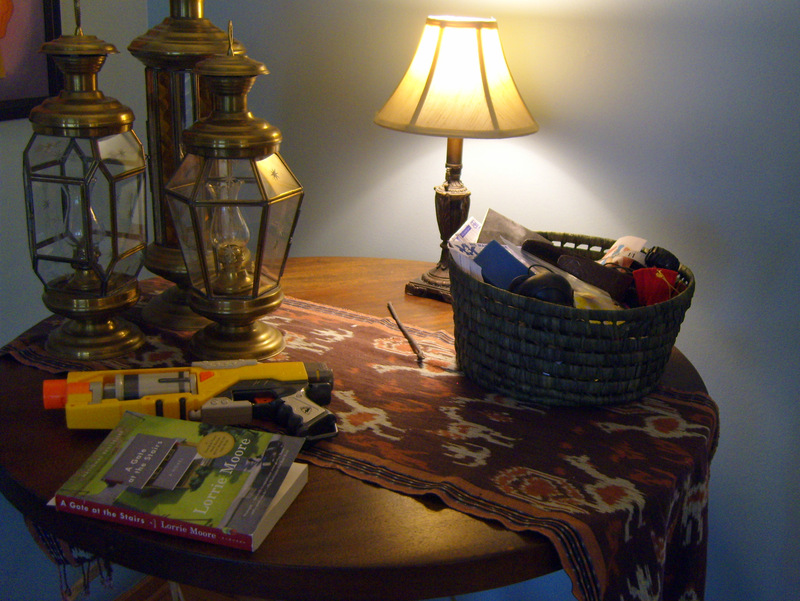 Sure, clutter in a basket looks better than clutter drifting over tabletops and skittering off into corners. But when I can’t stand the overflow for another second, I empty the basket. Lip balm, sewing supplies, cough drops. Earphones, charging cords, hair accessories. Coupons, pens, Post-Its. Legos, checkers, bouncy balls. Not pictured: candy wrappers, junk mail, assorted trash. 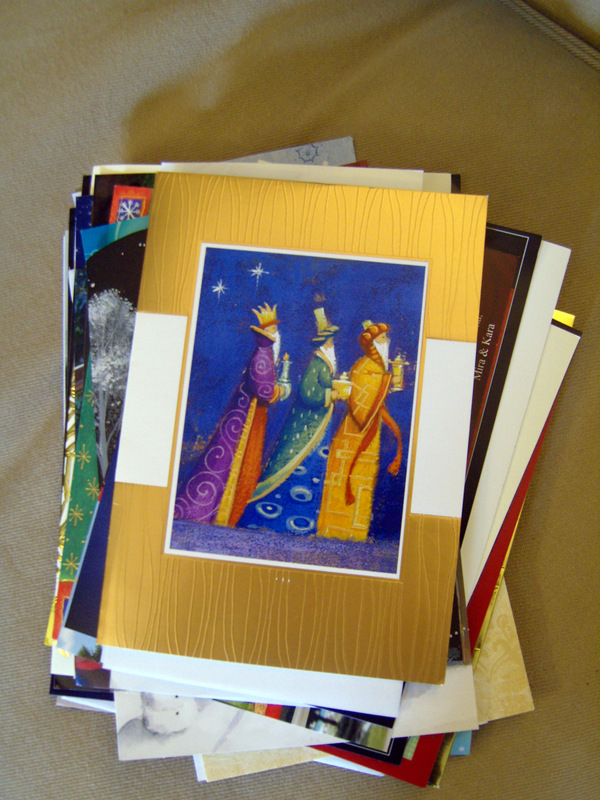 Oh, and that’s where all the Christmas cards went! I put everything away. I recycled the junk mail and tossed the garbage. I shelved the books and returned the Nerf gun to its rightful owner, repeating for the 73rd time that weapons don’t belong on the hall table. It’s not much of a tablescape (who invented that word, anyway? ), but at least it’s clean.